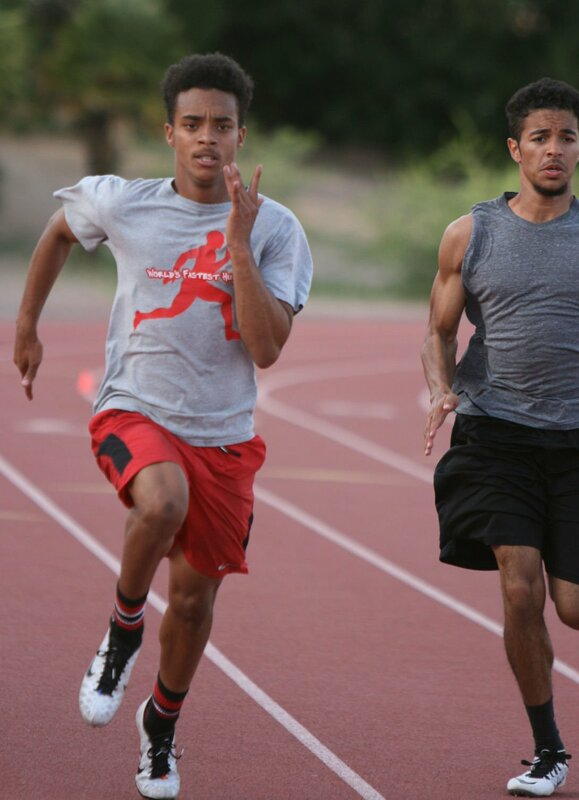 There is excitement on the track at Tucson High, and it’s for a good reason. The Badgers’ boys team is coming off its best finish in three decades after capturing the Division I state runner-up trophy last spring. A first-place finish by the 400-meter relay team was a key to the success. But this year’s squad will look different. Lawrence Wallace and Quinton Anzalone – who were both on that relay team – graduated, leaving behind seniors Tavian Ross and DeAndre Williams to keep the Badgers rolling. With championship experience, the expectations are high. Ross also took home a state championship last season, winning the 400 in 48.01 seconds. “It feels great to be back and to show that it is more our time this year,” said Ross, who won’t begin competing until later this month. “We want to add more trophies to Tucson High and keep the legacy going. Ross is not the only member aware of what success has meant to this team. Williams also sees this season as an opportunity to display their talent. “It feels like this year we have something to accomplish,” said Williams, who will also run the 100 this year. Ross started running track at the age of 6 and Williams has five years of experience under his belt. They’re hoping their veteran leadership can help continue the success. Even though they won a gold medal in the relay, both Ross and Williams have been motivated by the team’s second-place finish. That’s something they would like to change this year. A division-by-division look at the local athletes competing in Mesa this week. See what the Star's high school sports coordinator has to say.